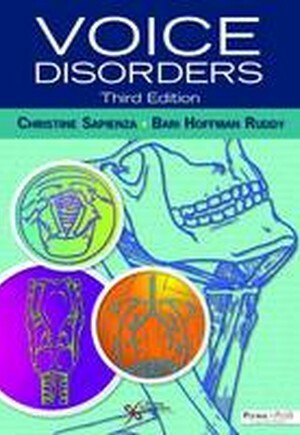 Written by leading specialists in voice, "Voice Disorders, Third Edition" captures the science and art of clinical voice. A necessary book for every graduate student in the field of speech language pathology, this textbook provides a level of detail needed to assess and treat those with voice disorders. Supplemented with case studies and video examples relevant to the study of clinical voice pathology, it provides supplemental material for the educator as well as pragmatic tools for the student and clinician.New to the third edition:*A PluralPlus companion website with an image bank, video examples, and more. *A supplementary workbook is available on the companion website and allows students to review chapter material and quiz themselves in an efficient manner. *Two new chapters on "Immune System Response to Diseases and Its Impact on Laryngeal Function" (Chapter 12) and "Laryngeal Reflexes" (Chapter 13).